For the last nine years we’ve been trading at Roswheel UK and Roswheel.EU. February 2019 has seen us change our name to Bike Bag Warehouse. We’ll still be importing and selling Roswheel goods, but we’ll also be adding other brands to our range. The first new brand we’ve added is the France-based hapo-G.
We exhibit at the major UK cycle exhibitions. 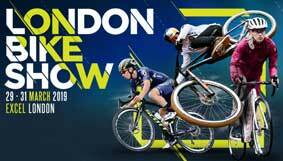 The next one is the London Bike Show at ExCeL in London’s Docklands from 29-31 March 2019. To check out the full Roswheel Essentials range click here.